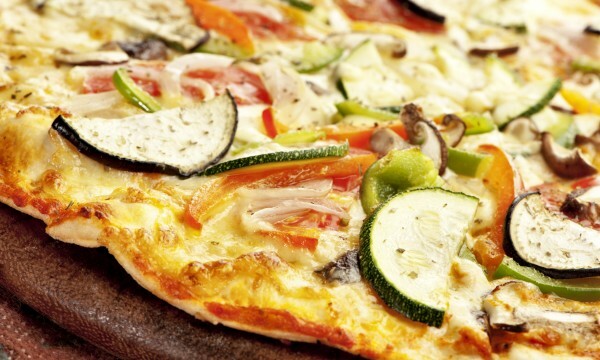 The benefits of vegetarian pizza depend on a number of factors. 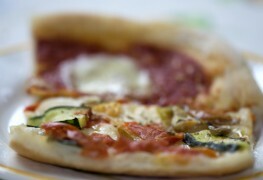 These include the type of dough being used in the pizza, how the vegetables are prepared, and the presence of other less nutritious toppings. Some restaurants use a very thick crust that resembles hot bread when it comes out of the oven. Delicious, sure, but that thick crust is going be high in empty calories. In the same vein, it's better to use fresh, grilled vegetables as a topping rather than veggies marinated or cooked in oil prior to going on the pizza. 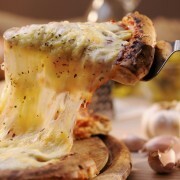 Another factor to consider is the amount of cheese that's going on the pizza; most cheeses have a high fat content. What qualifies a pizza as vegetarian? 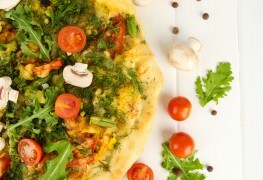 Do you feel like chowing down on a vegetarian pizza but prefer some veggies over others? No problem. 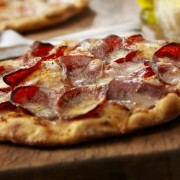 Most pizzerias will allow you to select which toppings you want on your pizza. By definition, a vegetarian dish is one that does not contain any animal meat, including chicken, beef and seafood. Naturally, deli meats and bacon also count in that group. 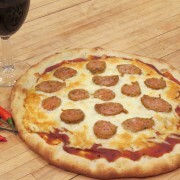 Remember that a vegetarian pizza isn't necessarily a vegan pizza. A vegan diet doesn't allow for any animal by-products, including eggs and dairy products such as cheese. 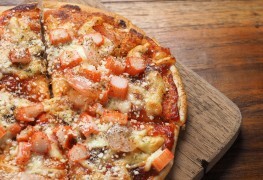 Some in-your-area pizzerias can accommodate vegan diets—you just have to ask.